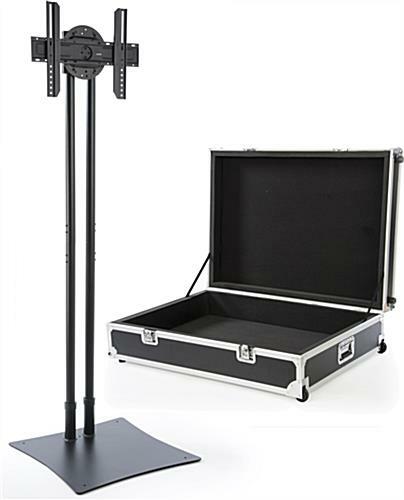 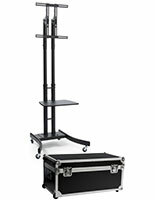 This expo TV stand with included travel case is a great accessory to bring to trade shows for interactive presentations! 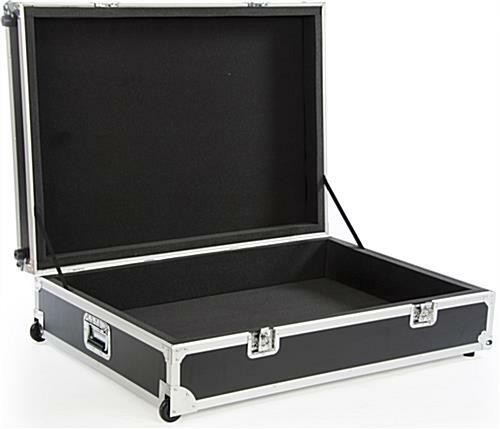 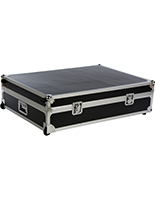 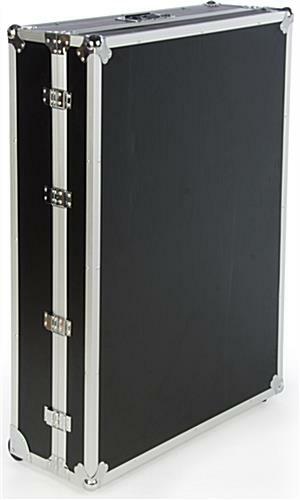 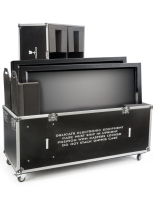 The crate is a 45” wide enclosed storage area lined in EVA foam padding for protection of the entertainment set. 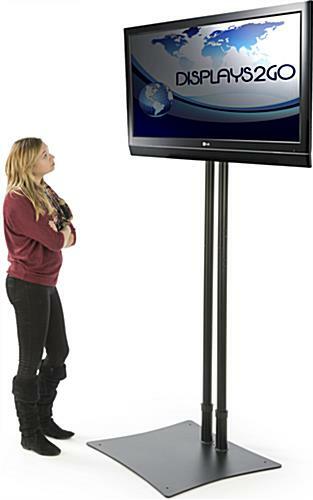 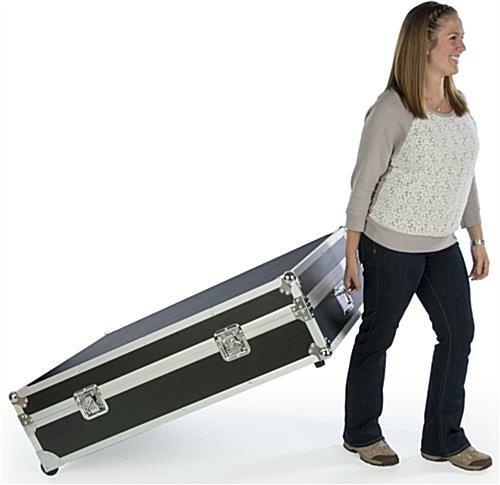 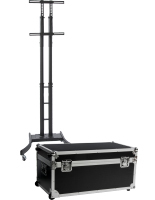 Rolling on wheels, it is easy to transport the event TV stand between trade shows and exhibitions. 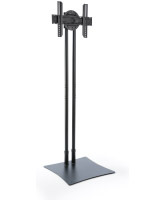 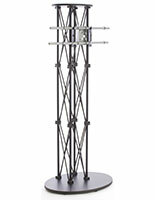 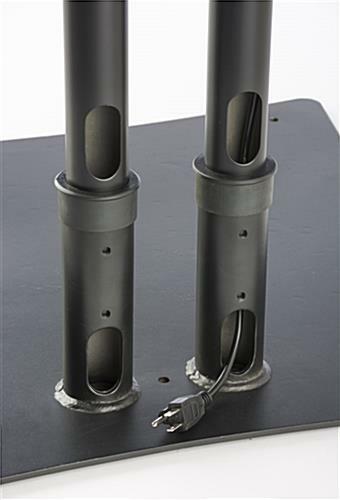 A double pole design holds a heavy duty bracket set that rotates into portrait or landscape orientation depending on the type of presentation desired. 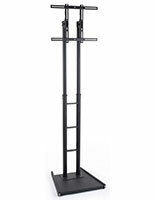 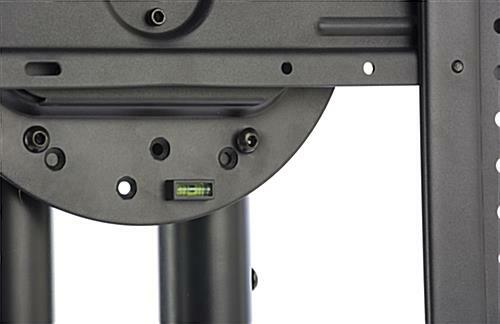 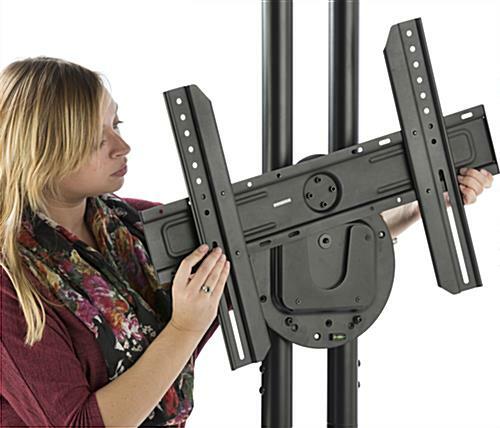 The TV stand is made up of three components including the base, the two poles, and the mount which can be easily disassembled into the event case for storage and transport. 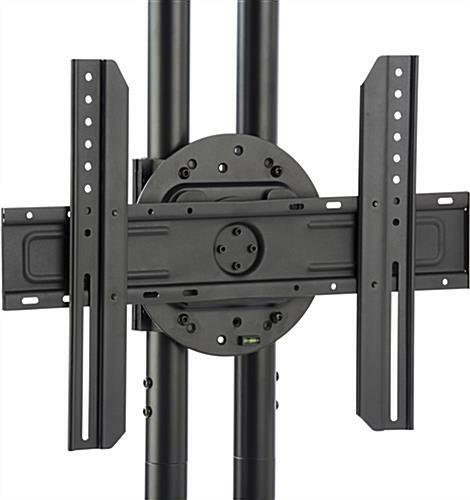 Built-in cable management hides unsightly wires and cords inside the entertainment centers columns for a polished and professional look. 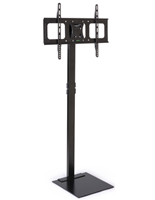 29.0" x 91.0" x 28.0"
24.0" x 17.0" x 5.0"